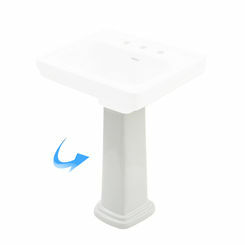 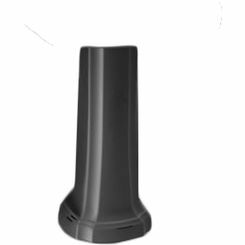 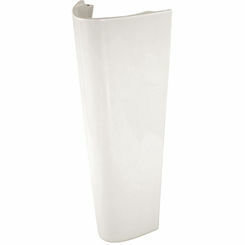 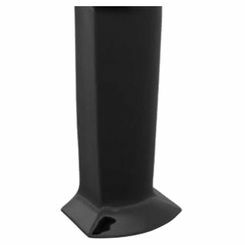 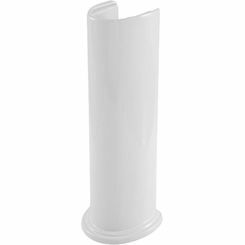 Save on pedestal sink bases, also commonly referred to as pedestal columns, when you shop online with PlumbersStock.com. 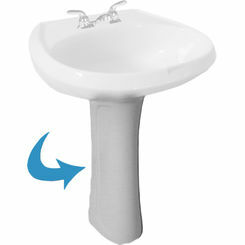 We offer the best in discount bathroom supply, so when you need to update your bathroom sink, turn to us. 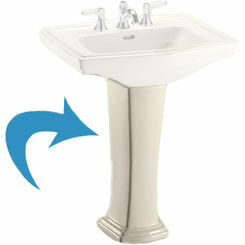 We also sell complete units if you are looking to replace the entire pedestal sink. 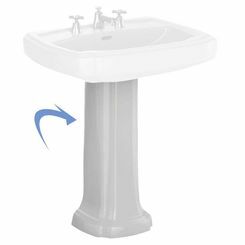 We offer a variety of the best brands, including Toto. 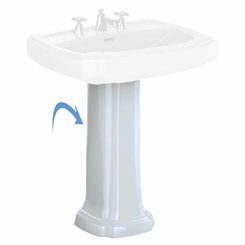 Classic look: Pedestal sinks provide both a classic and modern look for your bathroom, bringing hints of olden days as well as the simplistic modernity many desire. 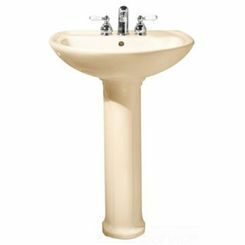 Space-saving solution: Many bathrooms—particularly in city centers—are very small and cannot fit an entire cabinet/sink combo. 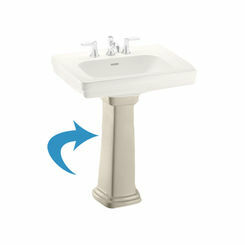 If you are in this situation, a pedestal sink may be right for you. 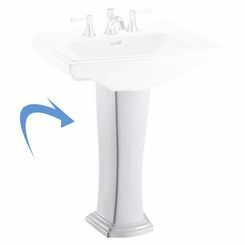 Great for vintage redesigns: If you have an older home that you wish to keep the spirit of its history, a classic pedestal sink can help. 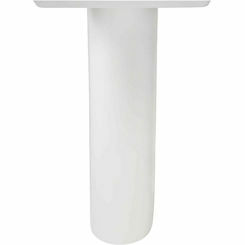 Measure Everything Beforehand: Know how long your bathroom sink pedestal is, rough in your pipes at the correct height, and make absolutely certain you know where the pipe is going to end up. 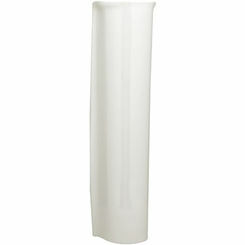 Nothing is worse than reaching the end of the product and realizing your pipes are too long or too short.  Shut off Water Main: Always shut off water mains before working with water pipes. 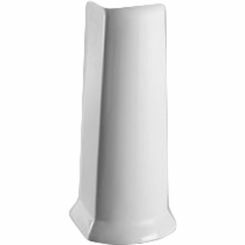 Hire a Plumber to Rough In your Waste Pipes: If you are not an expert, we would not recommend roughing in the pipes yourself. 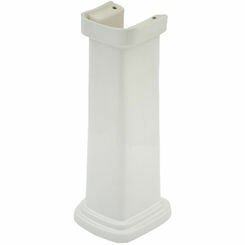 Call your local plumbing technician to do this for you. 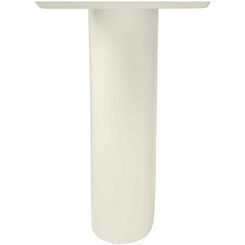 Install Blocking: Screw in a 2 x 4 board to provide a solid anchor for the lag screws holding the sink against the wall. 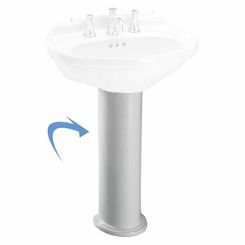 Install Piping so it is not Visible: In other words, make sure all piping is within the core of the pedestal and behind the sink. 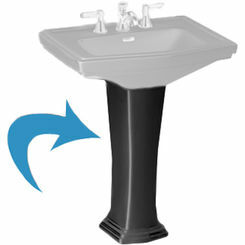 Pedestal sinks lose their attraction without this. 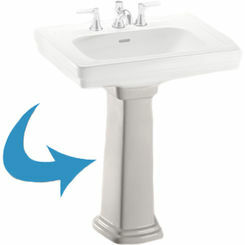 Installing a bathroom sink pedestal is an incredibly difficult task that requires a lot of plumbing know-how. 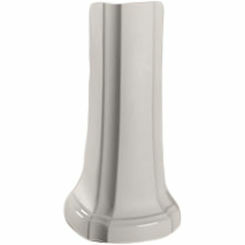 If you have no idea what to do from this point on, make sure to call us or a plumber today; you’ll be happy you did so.